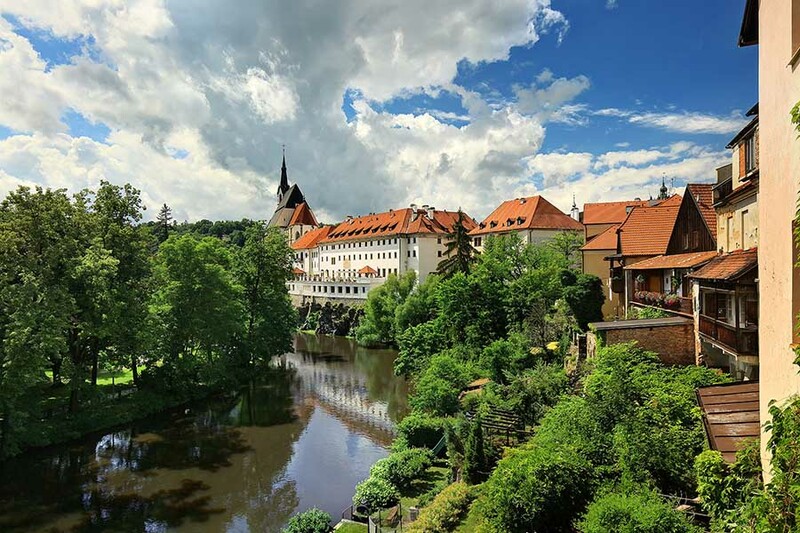 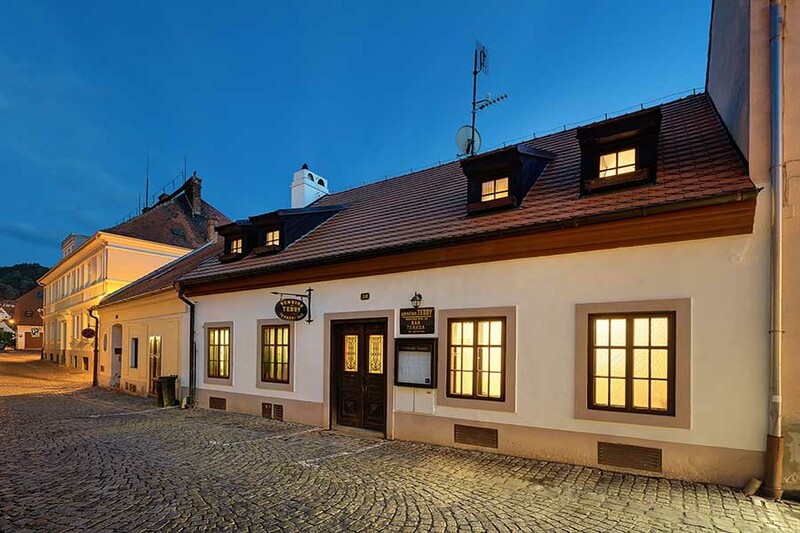 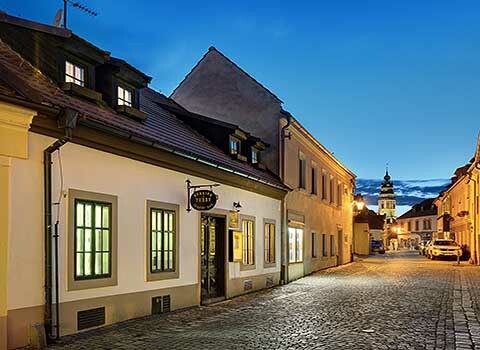 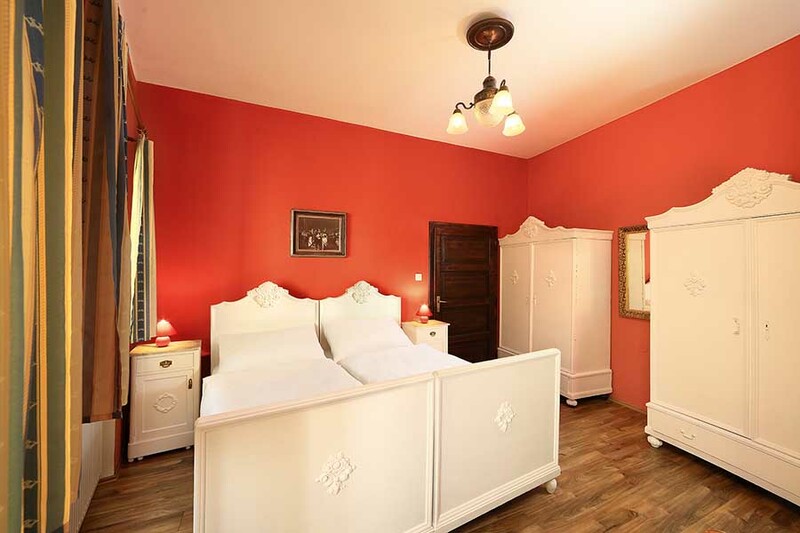 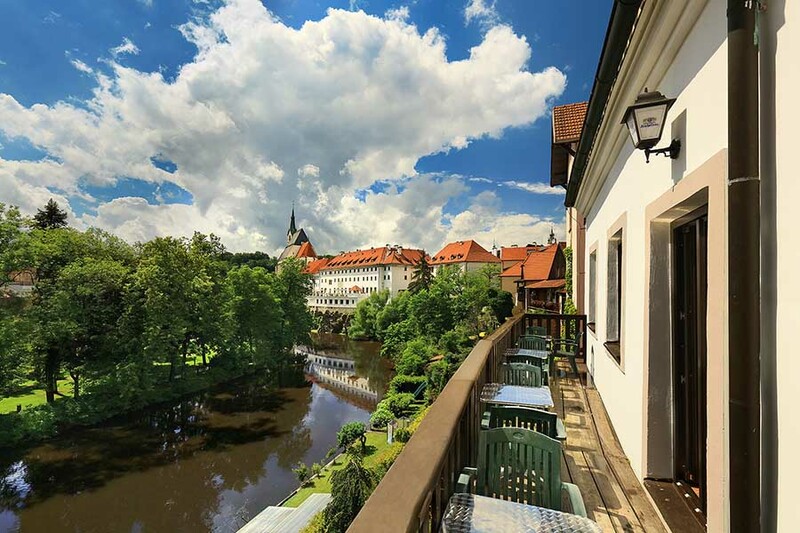 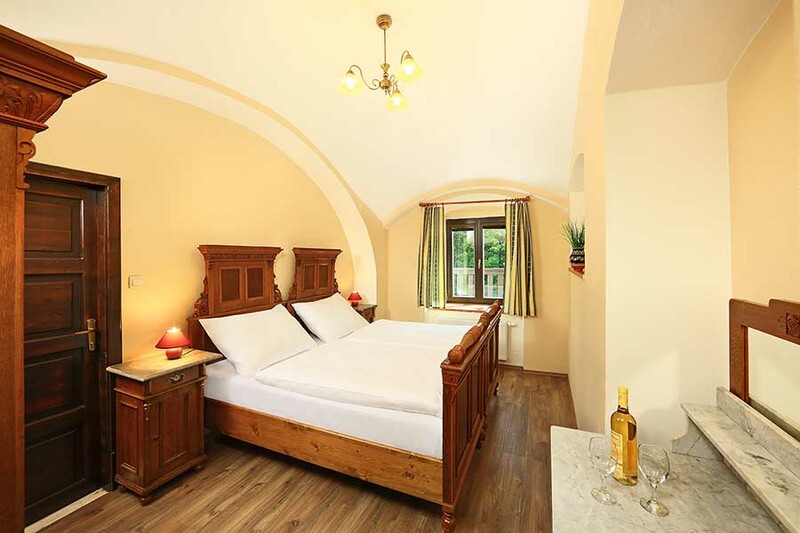 Pension Teddy is located in newly reconstructed period house close to the historical centre of Cesky Krumlov on a quiet street over the river vith views to the city and park. The town square is about 5 minutes walk away, the castle is about 10 minutes away. 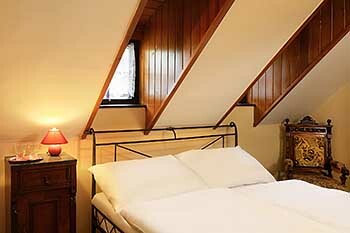 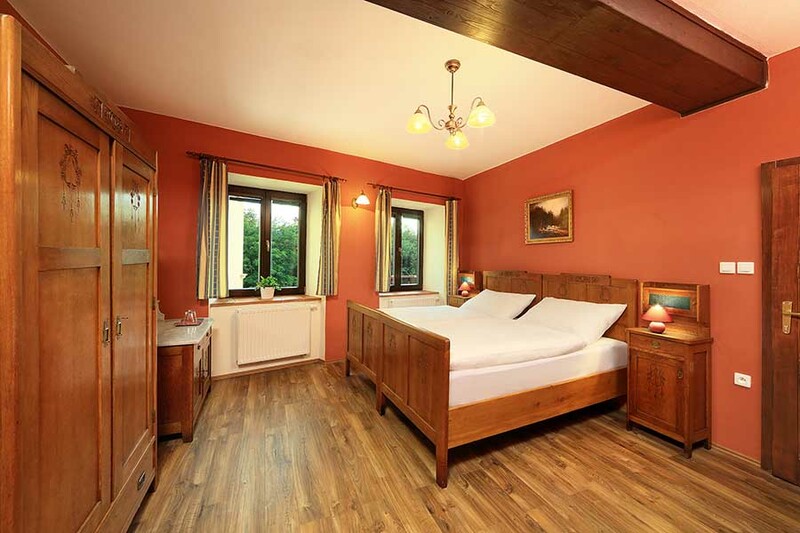 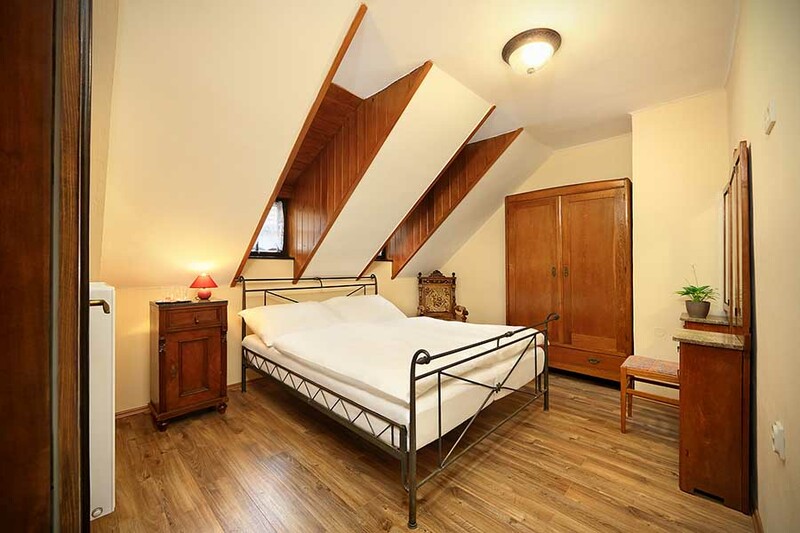 We offer 3 double rooms on the ground floor (2 have a terrace) and 3 double rooms and 1 triple room in the attic. 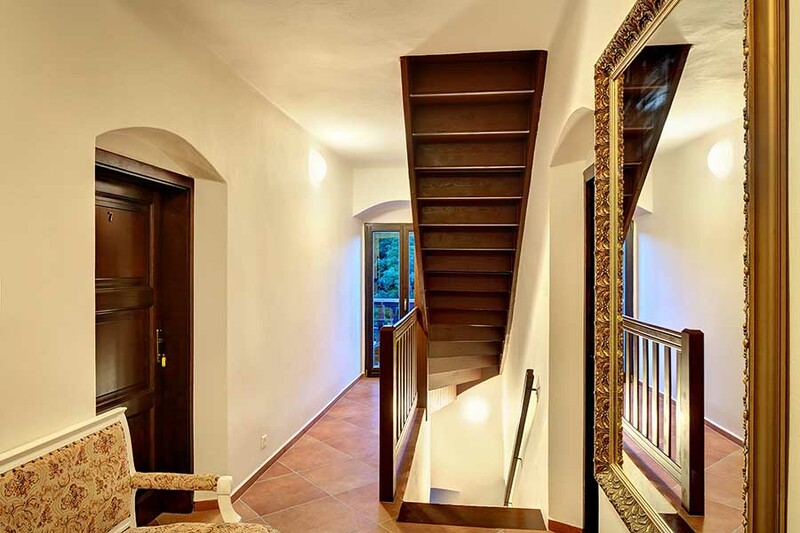 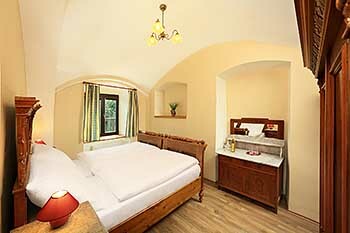 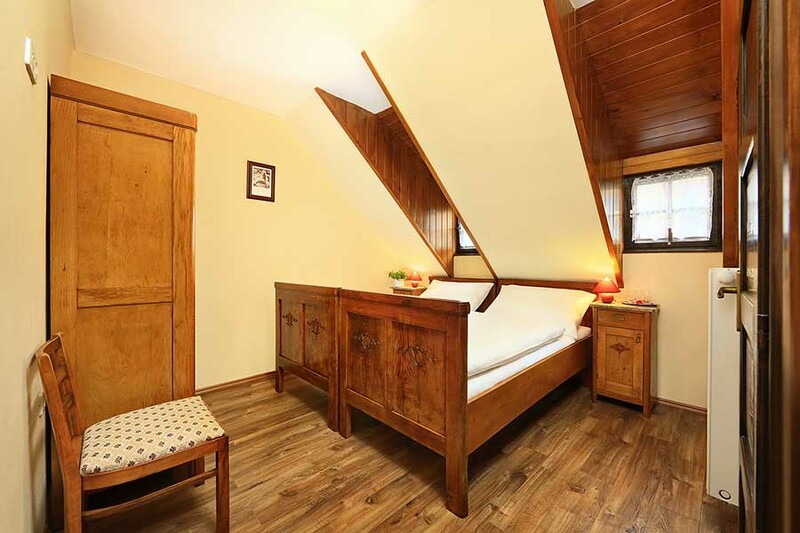 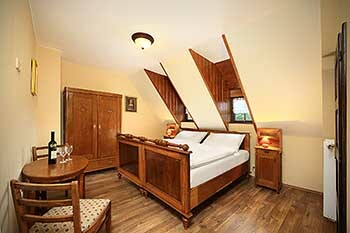 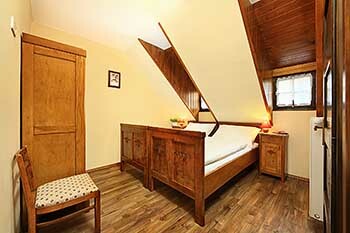 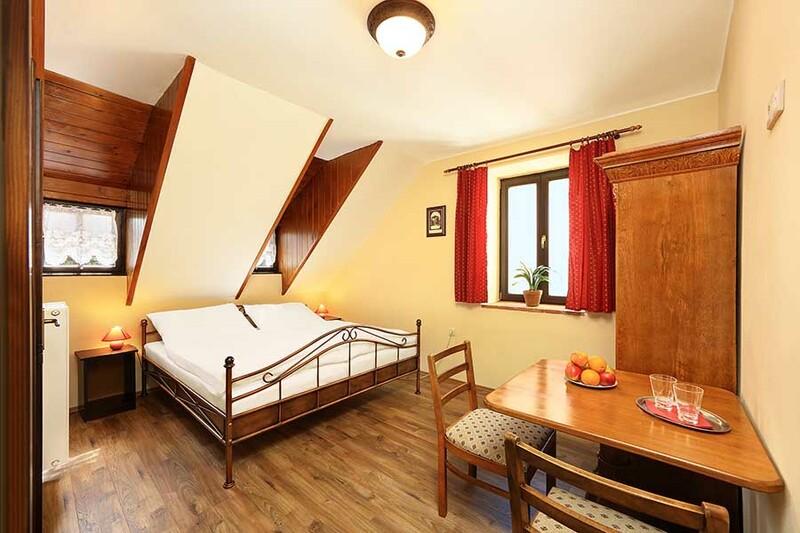 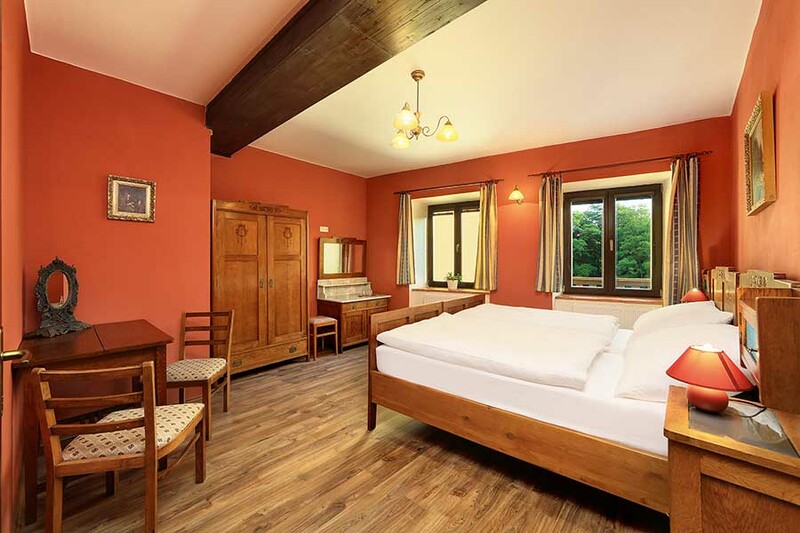 Five rooms overlook the Vltava river, two the street. Rooms are furnished with antique restored furniture. 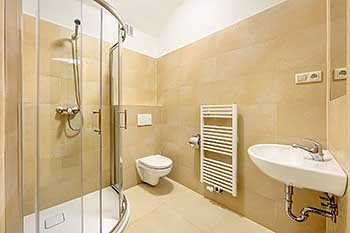 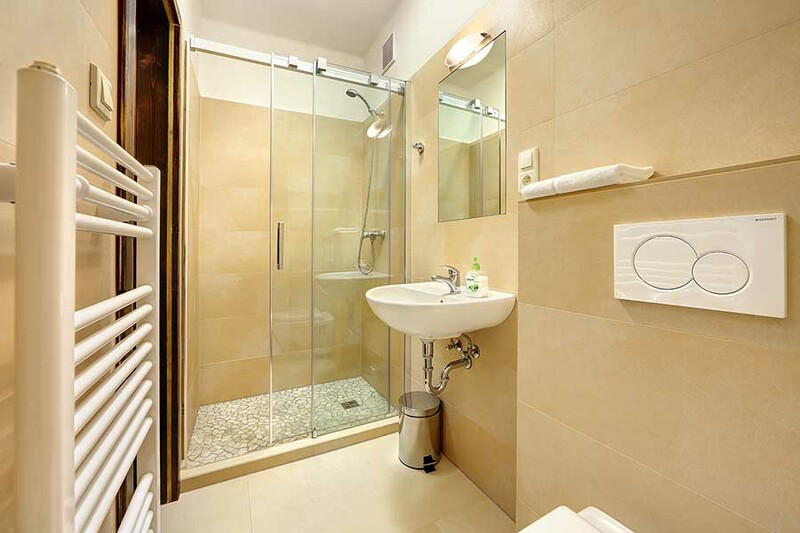 Each room is equipped with its own bathroom. 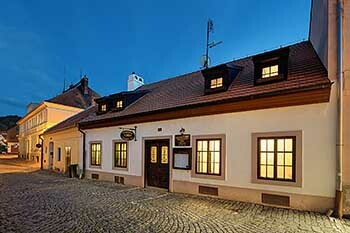 The entire pension is non-smoking. 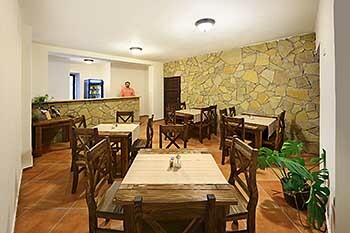 Continental breakfasts are served from 8 am to 10 am. Very popular is to take the breakfast on the terrace with nice view of the river and a quiet green park. 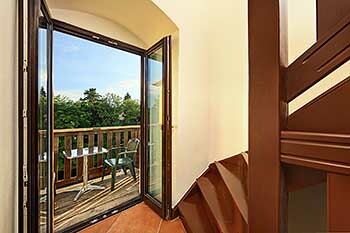 During the day (from 10 am to 10 pm) you can enjoy your drink or coffee in the bar or on the terrace. Reception services are available every day from 08:00 to 20:00 in the summer months and from 08:00 to 17:00 in the winter months. Possibility of horse riding trips and rent a boat on Vltava river.